Do you take lots of classes or travel often? 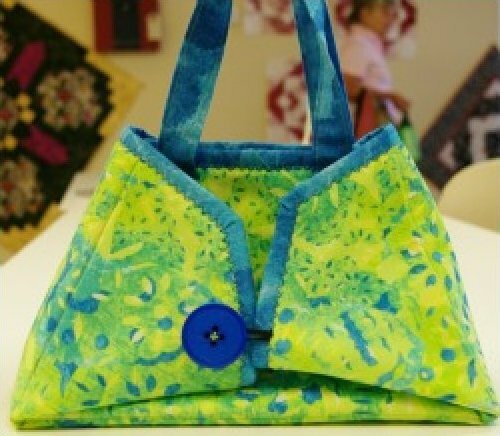 Join us for our Bag Ladies class in April, as Joan leads you through making this very cute Caddy Pad. It opens out to be a pressing pad, and you can pack up your hot iron when you're done. The pattern comes with the heat-resistant fabric to make one pad. There are two size patterns available, either the Caddy Pad or the Caddy Pad, Jr.